Dubai, 24 October 2018: BOLLYWOOD PARKS™ Dubai, the premier Bollywood-themed park that is part of Dubai Parks and Resorts, the largest integrated theme park destination in the region in association with Zee Network, is hosting the biggest Diwali celebration in Dubai on the 9th and 10th of November. Starting from just AED 99, guests can enjoy live performances, thrilling rides, delicious street food and brand new entertainment acts. To celebrate the joyous festival of Diwali, BOLLYWOOD PARKS™ Dubai will also offer free entry to the first 100 guests visiting the park on each day of the event. The ‘Big Zee Diwali Festival of Lights’ will feature live concerts by top Bollywood singers, Shankar Ehsan Loy on the 9th and Neeraj Shridhar on the 10th of November. In addition to thrilling rides and attractions, guests can also enjoy popular Bollywood movies by Zee International Studios screened at the Rajmahal Theatre and a food festival offering the best street food from across India. All the above performances and festivities are included in the park ticket price. 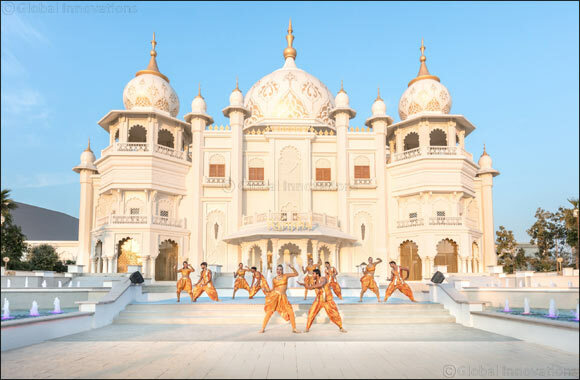 BOLLYWOOD PARKS™ Dubai has also launched a brand-new line-up of street performances filled with energetic music, song and dance, which will be showcased during the Diwali celebrations. Guests can immerse themselves in the vibrant sights, sounds and colours of India through eleven new street shows throughout the day, including folk dances, magic shows and cultural performances and Bollywood-themed acts. All these shows are included in the ticket price, making it the ideal destination to celebrate Diwali.